Education has been given the least priority in Wayanad from time immemorial . Enrolmentrate is very high but there are hundreds of children in each panchayath who have never entered the doors of any schools till now. We find the number of children admitted to lower classes are getting lesser and lesser where as in upper classes the children are on the increase. The reason why children are less in primary classes may be due to family planning and also opening of recognised schools. The increase in the number of pupils in higher classes is due to better retention. The quality of education in the district is very poor and placed among the least in the country, and hence the district has been brought under a special scheme of District Primary Education Programme funded by World Bank. The main thrust is quality. Quality is intended to be raised by increasing the physical facilities, training of teachers and introducing the concept of M.L.L (Minimum Level of Learning). New text books are already been given to children along with hand books to teachers. The evaluation system is also thoroughly revised. There are at present 266 schools (126 lower primary, 77 upper primary and 53 high schools) in Wayanad district. Five vocational higher secondary schools, two higher secondary schools and three teacher training institutes are there under the Department of Education. There are a residential upper primary school for scheduled castes at Muthanga and a residential high school at Nallurnad. Out of 1,38,339 students studying in these schools, 69,944 are boys and 68,395 are girls. There are 7,686 scheduled caste and 22,447 scheduled tribe students. In Wayanad 2,591 people share a school against the state average of 2,381 people per school and this district has one school for every 8.075 Kms. against the state average of one school per 3.2 kms. The average number of students in this district per school is 532 against the state average of around 481. Wayanad is a single education district with one Deputy Director, one District Educational Officer and three Assistant Educational Officers. 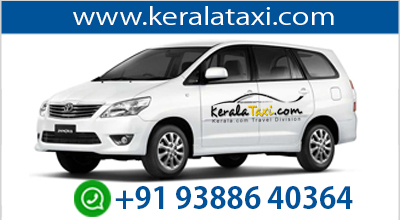 It has also a District Institute of Education and Training, located at Sulthan Bathery. In order to improve the quality of education, the district has been brought under special scheme of District Primary Education Project, funded by the World Bank. Out of the six colleges in the district, only one has the status of a first grade college with post graduate courses and science subjects. The proposed graduate programme in Tourism at Pazhassi Raja college, Pulpally, is the only one of its kind in the state. The only polytechnic is at Meenangadi. 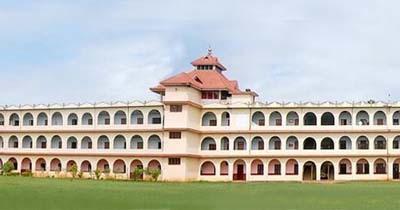 The Ambalavayal Research Centre is a notable institution under the Kerala Agricultural University. The B.Ed Centre at Kaniyambetta is also a feather in the cap of the educational sector of this district. The education of tribals is still a big problem. In spite of a lot of efforts, they have not yet been brought to the main stream. Many are admitted to schools, but they do not remain. The only consolation is the two schools - Rajiv Gandhi Residential School at Muthanga and Dr. Ambedkar Residential school at Nallurnad, near Mananthavady - set apart for the education of tribal children. Both these have better facilities and are well run. The literacy rate in Wayanad is 70.61 per cent as per 1991 census and was only 57.33 in 1981. Thus there is an appreciable growth in the literacy rate in a decade. This is still below the state average of 89.81 per cent. Among the panchayats and municipality, Mullankolly has the highest rate of 77.11 followed by Vythiri, 75.71 per cent and Edavaka, 73.7 per cent.